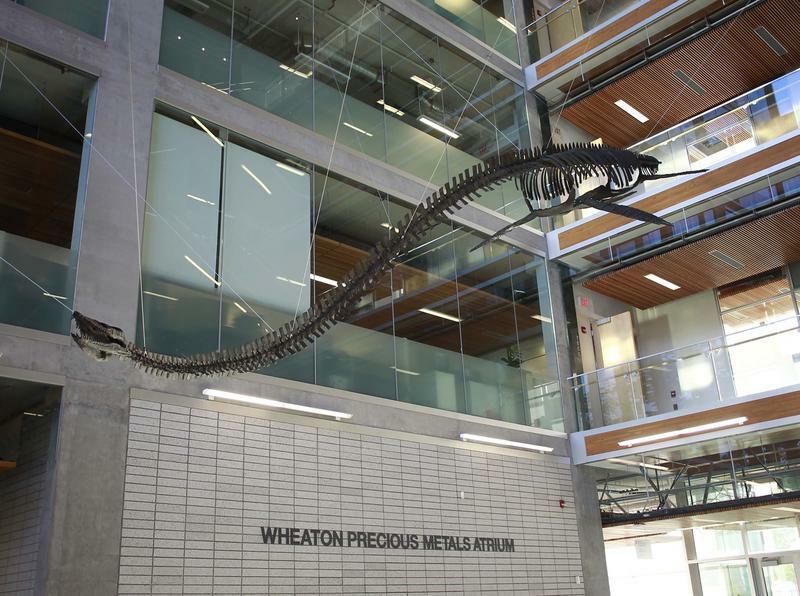 Just in time for the Halloween season, UBC’s Pacific Museum of Earth (PME) has acquired a 42-foot long cast skeleton of an ancient marine reptile to adorn its atrium: an Elasmosaurus. The Elasmosaurus’ origins, however, are more sensible than spooky. Its journey to the PME became possible due to the past and continuing efforts of a community of scientists and supporters. “This is a pretty big deal for the museum,” said the director of the PME, Dr. Kirsten Hodge. She explained in a press release that “big” was a literal assessment. The museum could have gone with a local skeleton that was about 10 feet shorter, but decided on this Elasmosaurus because the skeleton would fill the space better. Edward Drinker Cope identified the ancient marine reptile as an Elasmosaurus (not a dinosaur, though it lived at the same time) in 1868, but he incorrectly drew the head atop the tail, rather than the neck. This mispositioning became part of a bitter, decades-long rivalry in the paleontology community known as the “Bone Wars,” wherein Cope and opposing scientist Othniel Charles Marsh publicly shamed each other, sabotaged one another’s work and argued over everything from taxonomy to anatomy. Less serious were the more recent debates over a nickname for the PME’s newest addition.